A payment gateway is the online-equivalent of a credit card terminal. The payment gateways’ job is to encrypt, and then securely authorize a credit card transaction. Payment gateways are fundamentally required when accepting a credit card transaction online, because they’re responsible for storing sensitive credit card data. Sometimes these gateways are referred to as merchant gateways, credit card gateway or payment portal. 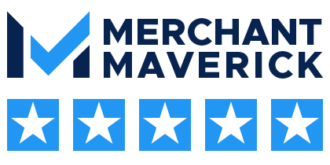 If you’ve yet to read how a merchant account works, we recommend you take a quick look at this handy diagram, located here. What Role Does a Gateway Play? Companies like Dharma are also known as payment gateway providers, since we offer payment gateway services. 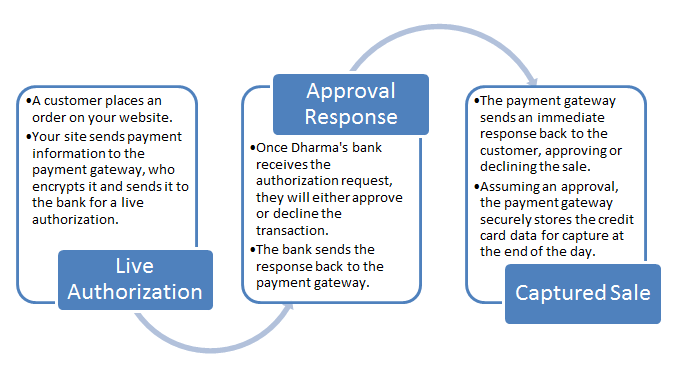 Below is a handy diagram that shows the payment gateway’s role in a credit card sale. The most important aspect of these gateways is their security. Utilizing a gateway can help your business to be PCI DDS compliant, ensuring that it is not held liable in the event of a breach that leads to credit card fraud. 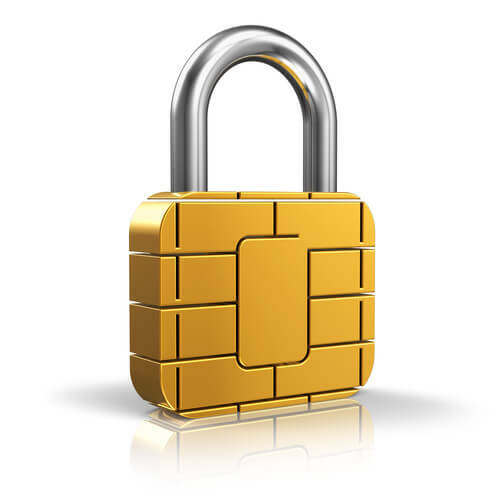 Any business that has access to card information is required to be compliant with the regulations set forth by the PCI. Fraud detection features in the gateway will guard your transactions against criminal activity. 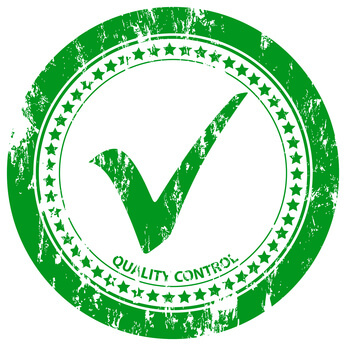 When a customer submits an order, it is usually completed using HTTPS protocol, securely transmitting the personal information through all parties involved in the transaction. Some software is even capable of providing real-time payments and translation of currency for foreign customers. Each transaction made through the gateway comes with a small fee to the business owner, which is usually just a few cents. While protection against credit card fraud is essential in today’s world, did you know that a gateway can also help your business run smoothly? Dharma offers its customers the MX Merchant Payment Gateway to meet the demands of merchant’s with specific, or even unique, payment processing needs, and it comes with a ton of neat features that can really help you stay on top of things. The MX Merchant Gateway offers an easy-to-use Virtual Terminal as well as a free iPhone/iPad app for mobile processing. It also features recurring billing that makes it easy to setup a subscription or membership, as well as update any customer information needed. Email invoicing makes it a snap to collect payments, and it is incredibly simple to integrate the system into your website with online payment links.